Your examiner will give you directions to follow the road ahead, turn or emerge left or right at junctions, traffic lights, roundabouts, one-way streets and ask you to follow signs that may change your direction. You will move off and stop numerous times on the left hand side of the road. This can be on a level road surface or on a gradient which may require you to use uphill or downhill start routines. You will be asked to stop alongside the right kerb and reverse along the kerb for approxinmately 2 car lengths, then rejoin traffic on the left. You may be asked to move off from behind a parked vehicle using the peep and creep technique. You will pull up and stop on the left side of the road before starting the independent drive and before carrying out any of the set manoeuvres. Ensure that the car is always under full control and that you maintain a good road position. Avoid hitting the kerb. Use observations and good judgement to make effective decisions. Act on what you see, ASSESS IT NOT GUESS IT. Ensure that you maintain safe clearances (from the side) and distances (from behind) other vehicles / road users. Observe and obey speed limits, road signs and road markings. Provide appropriate signals at all times. Do not give misleading signals. Only move off when it is clear and safe to go. Do not disrupt the general flow of the traffic. Never move off after receiving a gesture from another driver. Always check it is clear and safe to go for yourself. If you are undecided at any point, slow down, or stop. Generate time to look and assess the whole situation. 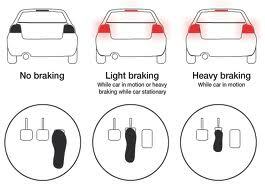 Do not make another road user brake or steer to avoid your vehicle. Do not become a hazard. Know the theory, mechanics and the routines of the set manoeuvres. Carry them out with confidence and accuracy. Use the POM routine when you are MOVING OFF - FORWARDS (WITHOUT A SIGNAL). P - PREPARE the car by selecting first gear, set consistent gas and find the clutch bite point. O - OBSERVE use the 1 to 5 point 360 degree forward observation process. If it is clear and safe to go, consider using the handbrake. M - MOVE by releasing the handbrake and then steer the car into a normal driving position approximately 1 metre from the left kerb. Use the POSH routine when you are MOVING OFF - FORWARDS (WHEN A SIGNAL IS REQUIRED). O - OBSERVE use the 1 to 5 point 360 degree forward observation process. When observations are finished, provide a signal. S - SIGNAL informing other road users of your intentions to move off. If it is clear and safe to go, consider using the handbrake. H - HANDBRAKE is released allowing the car to move and then steer into a normal driving position approximately 1 metre from the left kerb. MOVING OFF FORWARD OBSERVATIONS (Moving off from the left kerb). Start the observation sequence by looking over your left shoulder out of the rear window and continue sweeping through to the right finishing up looking over your right shoulder down the right side of the car . Use the 1 to 5 Point 360 degree observation method for moving off forwards. Point 1, start looking over the left shoulder out of the rear window. Point 2, followed by the left exterior mirror. Point 3, then the centre mirror. Point 4, followed by the right exterior mirror. 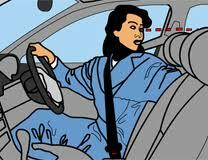 Point 5, finish by looking over your right shoulder down the right side of the car to the rear. INDICATE USING SIGNAL IF NECESSARY, TO INFORM OF ACTIONS. MOVING OFF FORWARD OBSERVATIONS (Moving off from the right kerb). Start the observation sequence by looking over your right shoulder out of the rear window and continue sweeping through to the left finishing up looking over your left shoulder down the left side of the car . Point 1, start looking over the right shoulder out of the rear window. Point 2, followed by the right exterior mirror. Point 4, followed by the left exterior mirror. 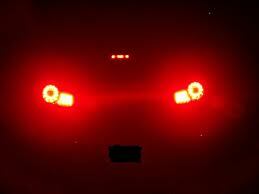 Point 5, finish by looking over your left shoulder down the left side of the car to the rear. Use the MSPSL routine when APPROACHING / TURNING / STOPPING. 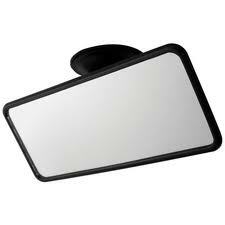 M - MIRRORS - Use mirrors in pairs, centre and left / centre and right. Checking for any road user moving up either side of your vehicle. S - SIGNAL - Inform other road users of your intentions. Time the signal correctly and take care not to give misleading signals. P - POSITION - Position the car on the road, relative to left and right junctions / roundabouts / one-way streets / stopping. S - SPEED - Approach at appropriate speed by coming off the gas / braking / changing gear / using the brake horse power of the car. L - LOOK - Observe effectively. Check all relevant areas before emerging / turning / moving onto and exiting roundabouts / stopping. 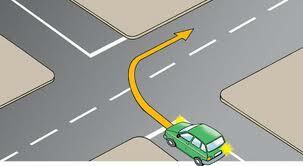 TURNING - is the process of driving from a MAJOR (main) road into a MINOR (side) road. 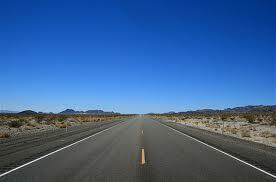 EMERGING - is the process of driving from a MINOR (side) road onto a MAJOR (main) road. EMERGING from a JUNCTION - Use the Right - Left - Right observation routine. Only move off when it is clear and safe to go. ROUNDABOUTS - Use Right - Left - Right observations, giving way to the right, unless you are approaching from a priority filter lane. CROSSROADS - Use RALAR observation routine, Right - Ahead - Left - Ahead - Right. Only move off when it is clear and safe to go. Use the LADA routine to help make effective decisions. L - LOOK - Observe the road ahead to spot any potential hazards. A hazard is anything that will make you either brake or steer. 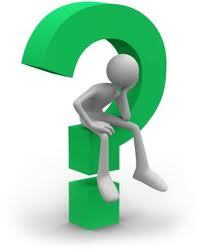 A - ASSESS - Evaluate the pending hazard fully. Look for clues, check the traffic flow, pedestrian activity, road conditions, weather. D - DECIDE - As you approach the hazard decide on what actions you need to take to resolve the situation. A - ACT - Navigate around or through the hazard safely at an appropriate speed, stop if it is necessary. When stopping, carry out observations using the centre and left mirror. Provide a left signal if any oncoming vehicles are approaching, or, if any vehicles are following behind you. In addition, provide a left signal if any pedestrians are close by the kerb adjacent to your stopping zone. Always CHECK THAT IT IS SAFE TO STOP and that you are pulling up in a safe, convenient and legal position (SCALP). Slow down gradually and eventually stop allowing enough time for following traffic to plan and navigate around your car. Use the SCALP routine to STOP in a safe place at the side of the road. S - SAFE - Not on a bend or a brow of a hill. Stop on a straight road where you are visible and can be easily passed by other traffic. C - CONVENIENT - Not in front of a private driveway, access road, or lowered kerb. Do not create a hazard or block the flow of traffic. L - LEGAL - Not within 10 metres of a junction, never on double yellow lines or single yellow lines inside the time restrictions. P - POSITION - Always stop on the left. Wheels parallel, alongside a full height kerb approximately a tyres width away from the kerb. When the car is stationary, you will need to SECURE it from moving. Apply the handbrake, select neutral, cancel any signal, retract your feet away from the pedals and keep the engine running. Always ensure that one hand remains on the steering wheel in a driving position just in case you may need to control the direction of your car if you are hit at any point by a moving vehicle. Only turn off the ignition to stop the engine at the request of the examiner, this will happen at the end of the driving test. Use the POM routine when you are MOVING OFF - BACKWARDS for a REVERSING MANOEUVRE. P - PREPARE the car by selecting reverse gear, set light consistent gas and find a very light clutch bite point. O - OBSERVE use the 1 to 5 point 360 degree backward observation process. If it is clear and safe to go, release the handbrake. M - MOVE by reversing at a very slow pace staying within the control and accuracy parameters required for the manoeuvre. MOVING OFF OBSERVATIONS FOR A REVERSING MANOEUVRE. Start the observation sequence by looking over your right shoulder down the right side of the car and continue sweeping through to the left finishing up looking over the left shoulder out of the rear window. Use the 1 to 5 Point 360 degree observation method for moving off when reversing. Point 1, start looking over the right shoulder down the right side of the car to the rear. Point 5, finish by looking over the left shoulder out of the rear window. Keep observing continuously until the reverse manoeuvre is completed. Always carry out a pre-start check - check that the handbrake is on, check the gearstick is in neutral, then start the engine. Use appropriate observations - before moving off, turning, manoeuvring and stopping. Drive smooth - operate gas / brake / clutch pedals effectively, steer and change gears without affecting the smooth running of the car. Road Position - maintain a good general driving position, approximately one metre from the left kerb line. Keep within white lines. Dashed white lines on main roads - generally, can be crossed without stopping if the road is clear and it is safe to proceed. Dashed white lines at junctions and roundabouts - generally, can be crossed without stopping, if the road is clear and it is safe to proceed. Solid white lines on main roads - treat as kerbs and generally as no-go areas, only cross a solid white line in an absolute emergency. Solid white stop lines at junctions - you must always STOP the car completely. Observe and then proceed if it is clear and safe to go. Observations - always use your EYES and assess the road and traffic flow completely, before using your FEET. Use the centre mirror before - gear changes, speed changes, junction approaches, traffic lights and pedestrian crossings. Use mirrors in pairs - checking for any road user moving up either side of your vehicle before moving off, turning, emerging or stopping. 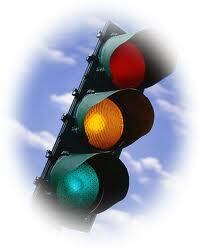 Use signals - effectively and timed correctly, cancel the signal when the manoeuvre is completed. Do not give misleading signals. When turning left and right - start left and stay left, start right and stay right, especially at junctions, roundabouts, one-way streets. When driving conditions are DRY - use the CLICK, 1,000 to 2,000 method to calculate a safe distance between you and the car in front. When driving conditions are WET - use CLICK, 1,000 to 4,000. When driving conditions are ICY - use CLICK, 1,000 to 10,000. 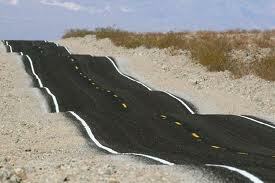 Never accelerate - when you do not have clear vision of the road ahead. When the road goes - speed slows. When the road goes altogether - speed goes altogether. When in town - slow everything down. Use Tarmac and Tyres - this gap is required when queuing behind other vehicles in town, at traffic lights, junctions, roundabouts. When meeting traffic - and your normal driving line is blocked by parked vehicles, hold back or stop, you then control the situation. Meeting Traffic mirror checks - moving to the right, check the centre and right mirror. Moving to the left, check the centre and left mirror. When passing meeting traffic - allow for the width of an open car door as a minimum clearance from the side of the parked vehicle. When passing cyclists - check out how they ride on your approach, do they hold a good line? Give them plenty of room. When approaching roundabouts - plan to stop, look to go. Check before you cross the line for a late or fast arrival onto the roundabout. What goes off a dual carriageway must come back on - to assist emerging slip road traffic, slow down, speed up, or move to the right.